UPDATE: This event has been postponed. 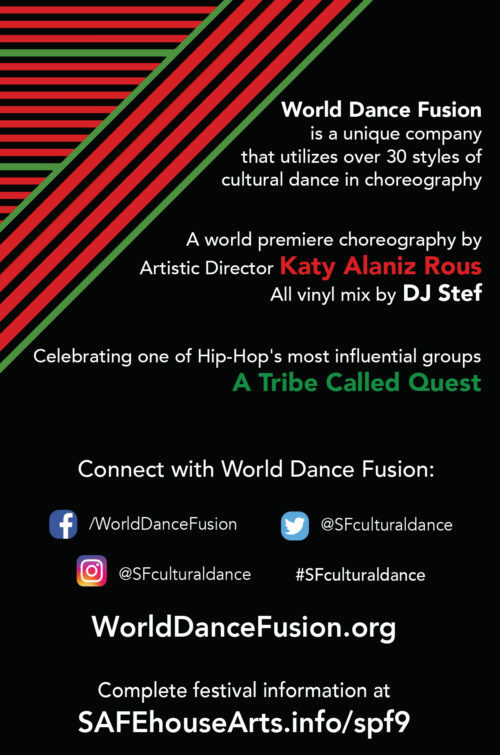 Please stay tuned to http://www.worlddancefusion.org/category/events/ for updated dates and location. 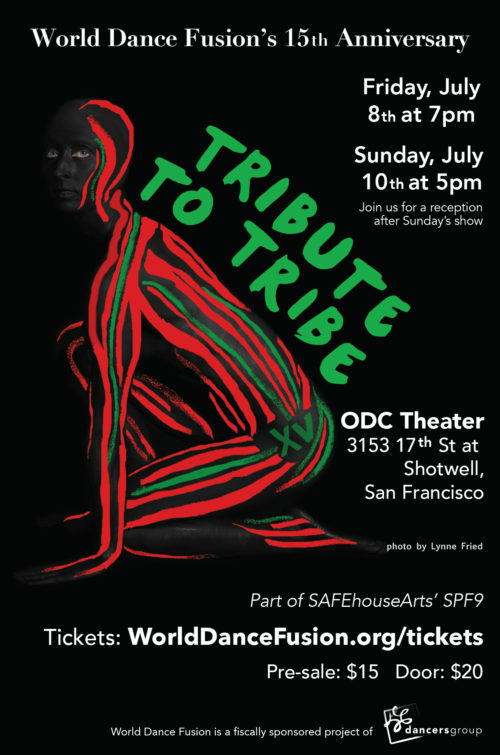 World Dance Fusion, capsule a San Francisco company that combines multiple styles of cultural dance from all over the world, capsule celebrates their 15th Anniversary with Tribute to Tribe, with all your favorite jams by A Tribe Called Quest, mixed on vinyl by yours truly.